Dustdevils from the Khyber on January 11, 1991. Sorry I didn’t have time to try and figure out the tracklist – if anyone can identify the songs please leave a comment. 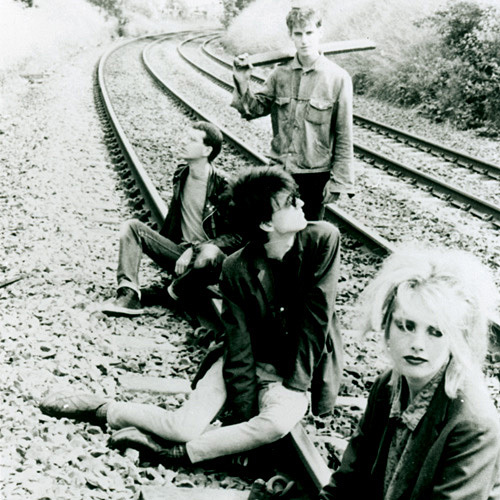 Plus I’m stealing the picture and this short description form the Tean Beat page on the them: The New York City noise-rock band DUSTdevils was led by British expatriate Michael Duane, who formed the group during the mid-1980s with Australian-born singer/bassist Jaqi Dulany. Originally based in Leeds, England, Dustdevils issued a handful of records on the Rouska label before hopping the Atlantic, where they recruited bassist Mark Ibold and drummer Reed in time to record 1989’s “Is Big Leggy” single for Teen-Beat. The full-length Geek Drip followed that same year, and in 1990 the group issued Struggling Electric & Chemical. Ibold soon joined Pavement.